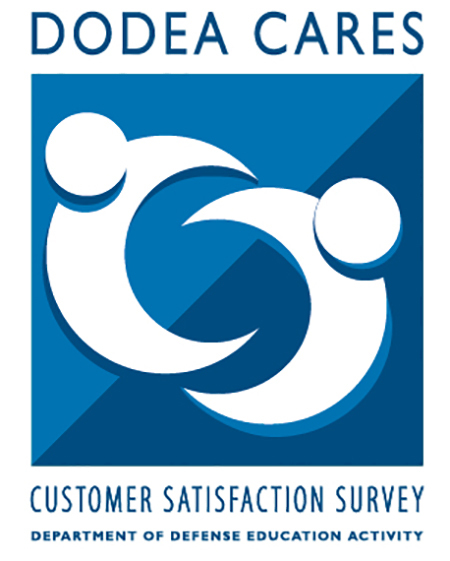 Alexandria, VA – The Department of Defense Education Activity (DoDEA) will administer a Customer Satisfaction Survey (CSS) from March 20 through April 14, 2017. The CSS provides valuable feedback to DoDEA from its most important customers – students and parents – about the quality of education provided and areas needing improvement. All sponsors or spouses with students enrolled in DoD schools from Pre-kindergarten or SureStart through Grade 12 may participate. Parents with children in Pre-Kindergarten through 12th Grade need only complete one survey based on the experience of their oldest child’s school. Students in Grades 4-12 may also participate. School level educators and support staff, full and part-time, excluding substitutes will be surveyed as well. The 2017 DoDEA Customer Satisfaction Survey is designed to gather input from parents, students, and school level staff. Parents need only complete one survey based on the experience of their oldest child’s school. The survey is voluntary and anonymous. Maximum participation is encouraged in order to obtain reliable and valid data. The survey takes approximately 20 minutes to complete and is available online at www.dodea.edu (click on the CSS graphic link). The survey was designed in consultation with the University of Southern California and the Defense Manpower Data Center. Questions cover nine broad areas: academic, technology, communication/environment, sense of belonging, caring relationships, well-being, school safety, overall satisfaction, and college/career readiness (high school only). Survey questions for parents and students were taken from the California Healthy Kids Survey. Questions for school-level staff assess the same domains. Additional questions for school staff come from the California School Climate Survey. DoDEA Director, Mr. Thomas Brady, stressed the importance of the survey to the organization’s commitment to continuous improvement. Mr Brady also emphasized the importance of survey participation. Information derived from the surveys will be used to improve planning efforts at all levels throughout DoDEA. Schools, districts, and areas will use the survey results to gain insight into the satisfaction levels of parents and students, which is one of many measures used for future planning of programs and services offered to DoDEA’s military-connected students. The results will be available later this spring on the DoDEA website. DoDEA plans, directs, coordinates, and manages Pre-Kindergarten through 12th Grade education programs for school-age children of Department of Defense personnel who would otherwise not have access to a high-quality public education. DoDEA schools are located in Europe, the Pacific, Western Asia, the Middle East, Cuba, the United States, Guam, and Puerto Rico. DoDEA also provides support and resources to Local Educational Agencies throughout the United States that serve children of military families.